Italy and Spain have many similarities – the sun, the beach, the sea, good gourmet and wine. A passionate Mediterranean temperament is also a common characteristic – just look at former FC Bayern München coach Pep Guardiola. His Italian successor is another, even if he may manifest it in a different manner. Both share a love of football, but that is where the similarities end. The transformation on the bench of the record German champions could otherwise not be much greater. On the one hand there is Guardiola: unapproachable, ascetic, discipline fanatic. Then there is Ancelotti: world-wise, aficionado, the nice guy from next door. But for as different the two coaches may be, their contrasting styles bring the same result: success. That is precisely why Bayern have found the perfect successor to Guardiola in Ancelotti, and his era will officially start on Monday. Ancelotti landed in Munich last Thursday evening. Just an hour before kick-off in the EURO 2016 semi-final between Germany and France, he emerged from Terminal 1C of Munich airport, in casual attire, pushing a trolley carrying all his necessary belongings. 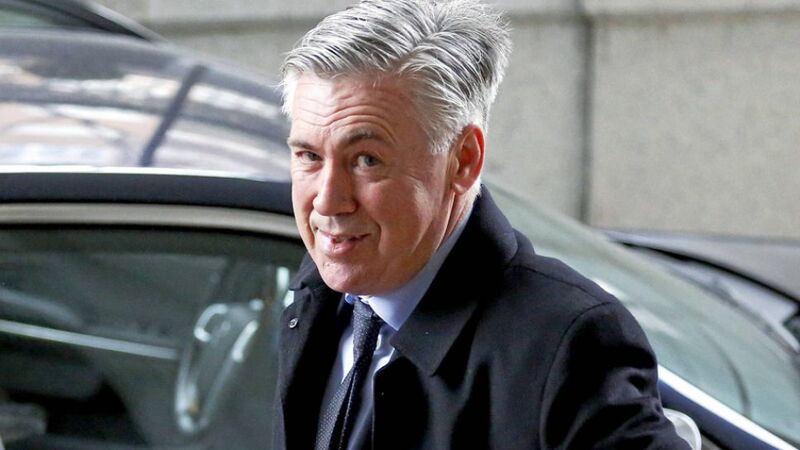 Ancelotti appeared surprised to be greeted by a television crew, but he kept his cool. A friendly greeting followed his initial surprise, and even a few words in German to break the ice. "My German? Gut, aber schwer" Good, but difficult.